Albena is located in a picturesque bay of The Black sea coast, next to the Batova River, adjacent to the slopes of The Dobrudzhansko plateau. 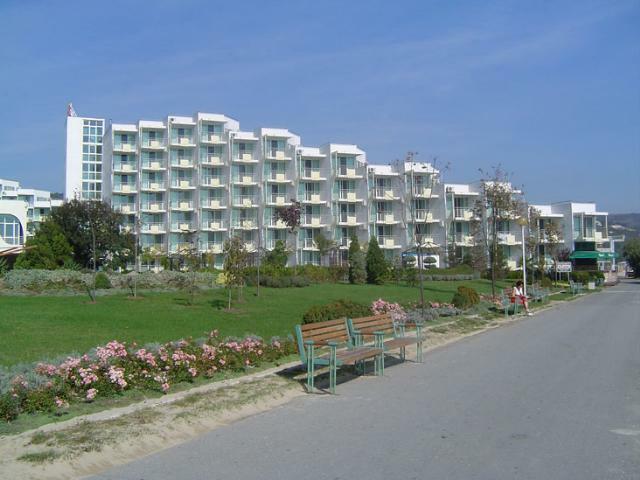 32km to the south lies the city of Varna, and 15 km in the same direction - the Golden Sands sea resort. Famous for the avant-garde architecture of its 40 hotels, Albena is one of the most attractive resorts along the Black Sea Coast. This piece of paradise is characterized by calm warm sea, whose depth is not more than 1.6 m, within 100-200m off the coast. According to the historical sources, there was a fortified village on this spot as early as the II - III century that was called Geraneya. The unique natural conditions of the region attracted visitors since ancient times. In the early 60s of the XIX century, the even coastline, the richness of the sandy beaches, the favorable climate and the exotic flora of the region, predetermined the development of the national and international tourism here. Right from the start of the construction itself, the resort was designed to be an extension of the Balchik area, which was situated on the south of the Palace. 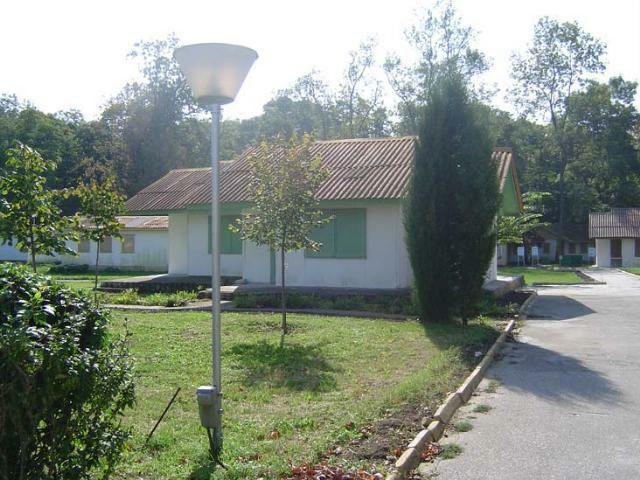 Initially, there were plans to name this place “Balchik - South”. However, the enforcement of the new town system plan ruled the complex’s name to be ALBENA. The name comes from a popular novel of the same name, written by Yordan Yovkov. It is believed that Albena derives its name from the Latin word “albus”, meaning “white”. 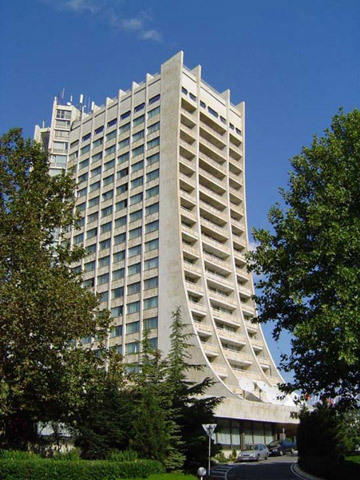 On 21st of January 1983 the constructing of the “Dobrudzha” hotel began – the biggest in the resort. That was the first step towards the year-round operation of the resort, which contributed to the development of the congress and balneological tourism. 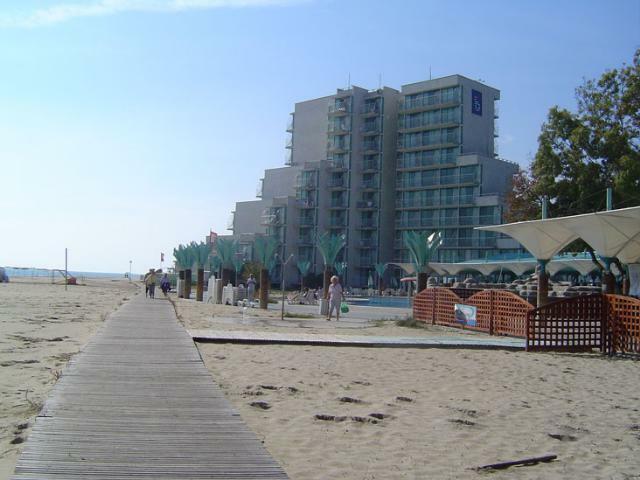 Albena develops fast as a world class leading and preferable tourist resort in Bulgaria. The forest reserve “Baltata” contributes greatly to the unique natural conditions that Albena offers to its guests. The reserve spreads out on 183 ha longoz forest, starting from the main road Kranevo-Albena, continues behind the hotels in the resort and reaches the open waters of the Black sea. Nowadays “Baltata” is an integral part of Albena; together they offer a unique combination of preserved nature and a modern tourist resort providing different forms of recreation and ecotourism.